Club Paradiso is one of the most famous joints to go to for a concert, international bands or club night. Paradiso is an old church just a couple of feet away from the Leidseplein. One of those cool club nights is Voltt. This night runs every three months with a lot of famous DJ’s in the minimal techhouse scene. Paradiso has three rooms where DJ’s can spin: the basement, where you can also get your nightly snacks (the sandwich cream cheese is a real treat! ), the main room and the ‘kleine zaal’ which is usually transformed to a cosy living room when the Voltt crew organizes their parties. This night, the main room featured Polder, Barem and Anthony Collins. In the basement played local talent Bob Nagel and Maarten Bloem and in the ‘living room’ played Alex Cellar and Oliver Weiter. The atmosphere was really nice and laid back and the DJ’s, especially Polder, put the needle to the groove which the crowd really liked. 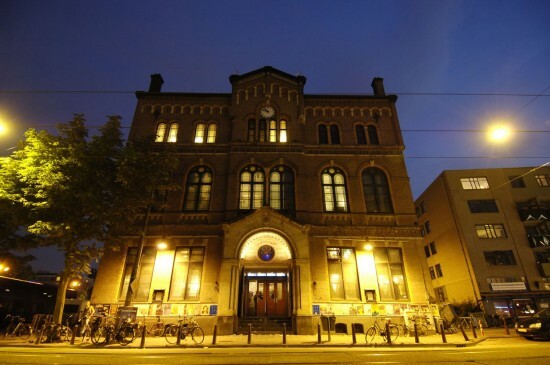 The club nights in Paradiso usually run till 05.00. Tonight they had to push everybody out of the building because no one wanted to leave. A club night at Paradiso is a well spent club night! Because this club is the most famous club of Amsterdam and the Netherlands I’ll give you a few big names who already played in this legendary venue: The Rolling Stones, Joy Division, Chic, Joe Jackson, Chris Isaak, Kaizers Orchestra, Willie Nelson, Phish,Arcade Fire, Nightwish, Bad Brains, Kayak, Loudness, Nirvana, John Cale, The Cure, Soft Machine, Emilíana Torrini, Jalebee Cartel, Link Wray, Lenny Kravitz, Omar & the Howlers, Nick Cave and the Bad Seeds, Electrosexual, Beth Hart, Dayna Kurtz, Dave Matthews, Smoosh, Suzanne Vega, Amy Winehouse, Milow, Fiction Plane, Epica, Editors,Motorpsycho, Pain of Salvation, Deftones, Riverside, Live and NITS and Jamiroquai.